Welcome back to Boards & Barley! If you’re new here, have a look around. 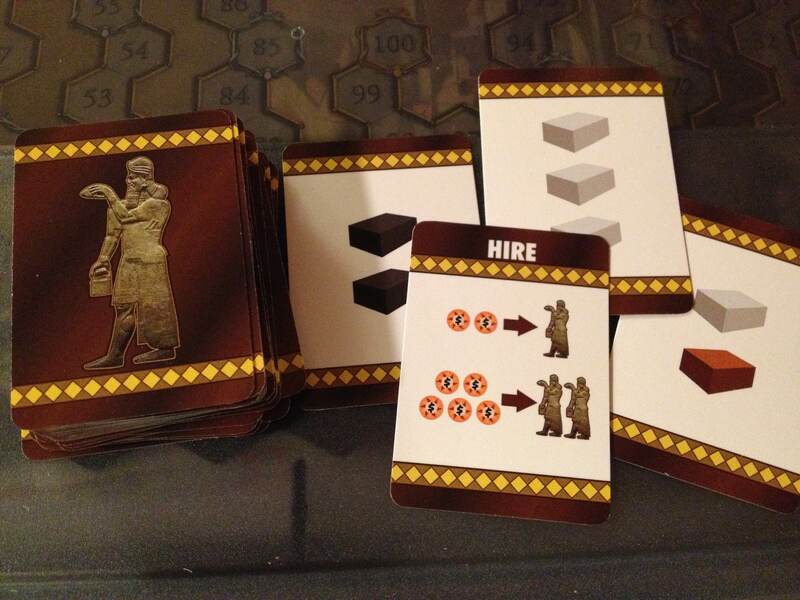 I post about homebrewing and board game design. Feel free to leave comments anywhere you please. I had this twice over the last few weeks and it was awesome. Many bourbon barrel beers are overwhelmed by the bourbon characteristics. That often makes it feel like you are drinking bourbon instead of beer. This one, however, had a perfect balance of bourbon and beer. The bourbon character was present but it partnered with the beer rather than drowning it. Central Waters created a wonderful brew with this one and I’m looking forward to having another. If you’d like to follow along with my Barley consumption, find my profile on UnTappd (Username: EdPMarriott). Cover art is a little weird but the game is quite fun. The theme is a little weird and the box cover probably wouldn’t draw me in at a game store, but the gameplay itself is fun. You basically draw and place a tile on the board. 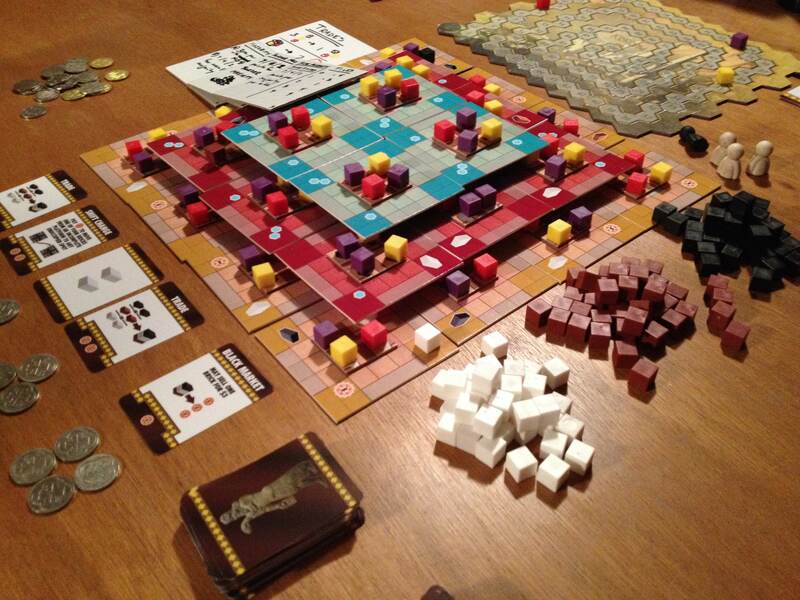 But the locations of the tiles you choose are different from your opponents. 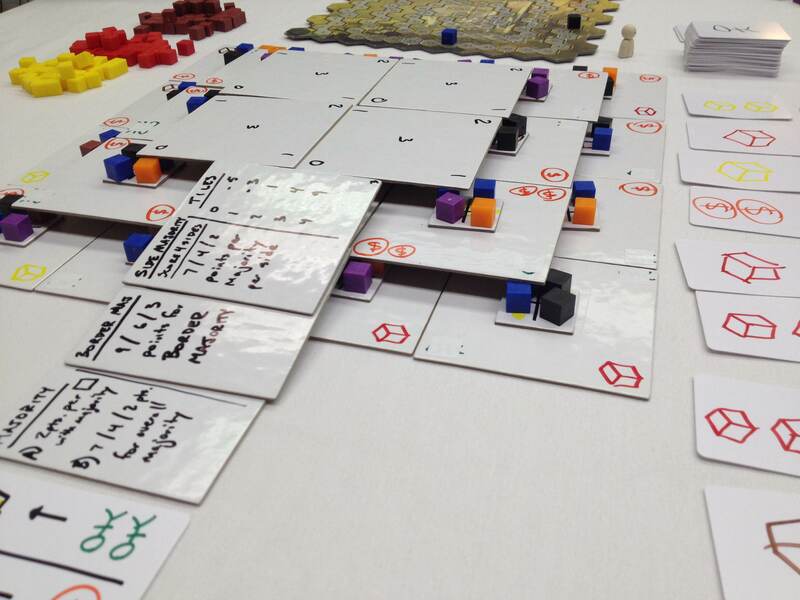 This is because the tile selector in the middle of the board physically rotates. And the region from which you draw a tile matters. 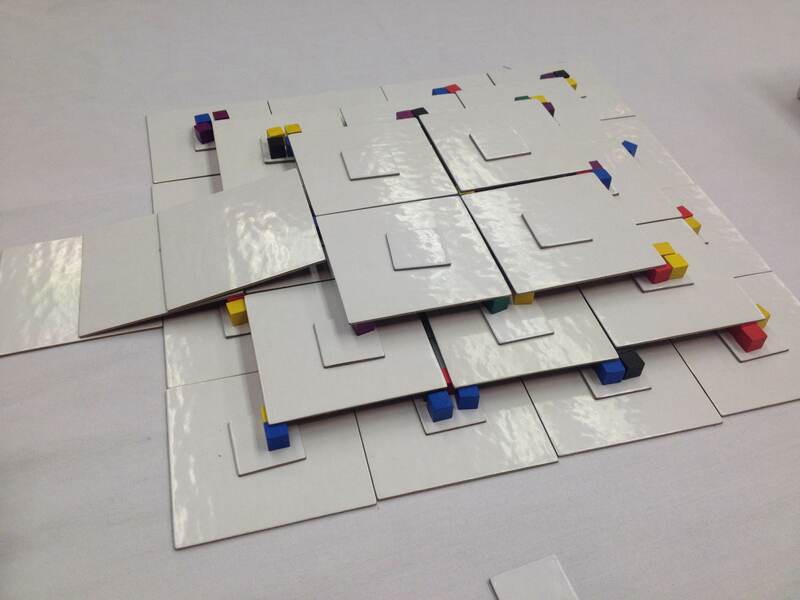 The tiles are placed to earn points by connecting like colors together, or using your meeples to score. I had fun and I definitely want to play it again. Hungry Hungry Hippos x48 – Christmas present for my kids. Only to be played when the littlest one isn’t napping. Gone Fishin x10 – Easier than when I was a kid since the fishing poles are solid rather than a ball hanging on a string. 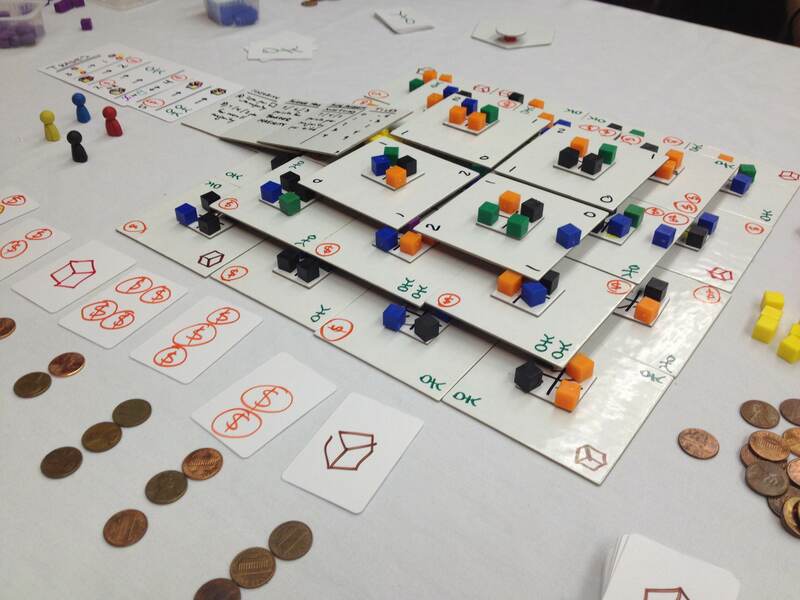 New Bedford – Bummer about the canceled Kickstarter since it’s a solid and fun game.